If you have spent any time with plants, the term germination makes sense to you. Every seed goes through a process called germination when the plant grows out from the seed. If you planted grass recently, you might wonder how long for grass seed to germinate. After all, you’ve been waiting for days now for those little seeds to pop up! It is important that you understand what germination is before we determine the rate for each seed. Once you plant a seed in the ground, do you ever wonder what is happening under the surface? There is so much happening inside of the seed that will lead to a beautiful plant or grass in this case. ​In the beginning, the seed has to grow roots before it can sprout of the surface. So, while you might think those grass seeds are doing nothing, there is a lot of work happening underneath the surface. Once the roots are developed, the grass seed will start to grow and sprout above the soil. After the grass seed finishes the process of germination, it will start to grow rapidly. As it consumes the nutrients in the soil, the grass will grow larger and larger. 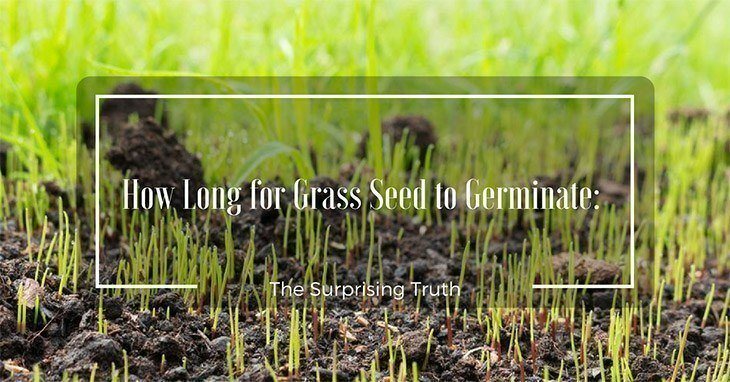 Understanding how fast does grass grow from seed also takes understanding the factors a seed needs to germinate. Germination requires the correct amount of water, warmth, and soil to make the process happen. Germination rates change based on many factors. One of the most important factors is air and soil temperature. You have to plant the correct grass seed type based on the time of year and your location. If you pick a seed that needs hot weather and it is only early spring, your germination rate is going to be much slower. Cool season grass needs soil temperatures between 45 to 55 degrees. Warm season grass prefers soil temperatures to be 55 to 65 degrees. Soil temperatures are cooler than air temperature! Soil and water also play a factor. For example, sandy soil tends to drain water much faster than clay soil. Seeds need moisture to germinate. So, if you are wondering how to grow grass in sandy soil, you would know that you have to provide extra water since so much will drain away each day. Don’t create puddles in your lawn. If the water starts to pool, it can wash away the seeds, a sign that you are watering too much. Birds aren’t your friend when you want to grow grass seed. Chances are you will wonder how to keep birds from eating grass seed because it is like a feeding frenzy otherwise. The best tip is to lay straw bales over top of the seed while it is germinating. Doing this stops the wind, birds, and water from washing the seeds away. You don’t want hay, so don’t accidentally buy the wrong thing! Different types of grass seed take longer to germinate. Before you plant, you have to think about the specific type of grass seed you are growing. It is important to consider that before you plant. If you select a grass seed with a longer germination rate and plant it later in the season, it might not have time to grow and harden off before the first frost. Selecting the right type takes serious consideration. Every type of grass has a specific time for germination. The recommended amount of time quoted is based on ideal conditions. If temperatures fluctuate too widely or you forget to water for a few days, the germination time will change. When you are wondering how long does grass take﻿ to grow, you want to make sure you pick the right type of grass seed for your area. Bahia turf grass works better for areas that are warm and humid. You want to pick it for areas that receive a lot of foot traffic. Bermuda grass is a fast and aggressive type. 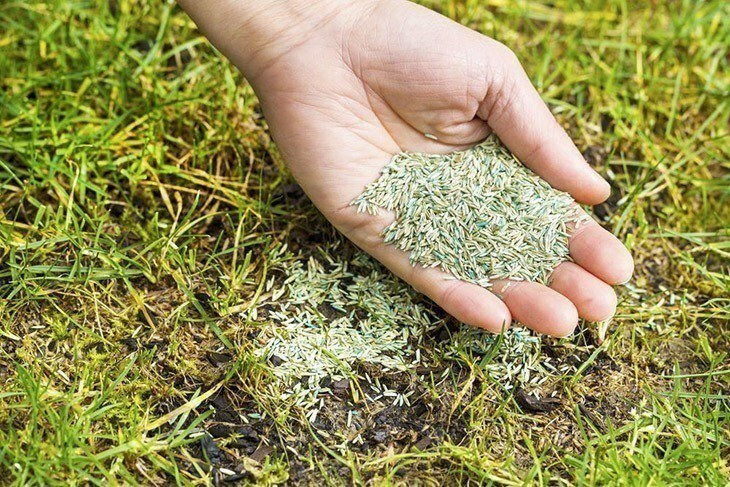 If your yard typically is overrun with weeds, planting Bermuda grass seeds will fix that problem quickly. 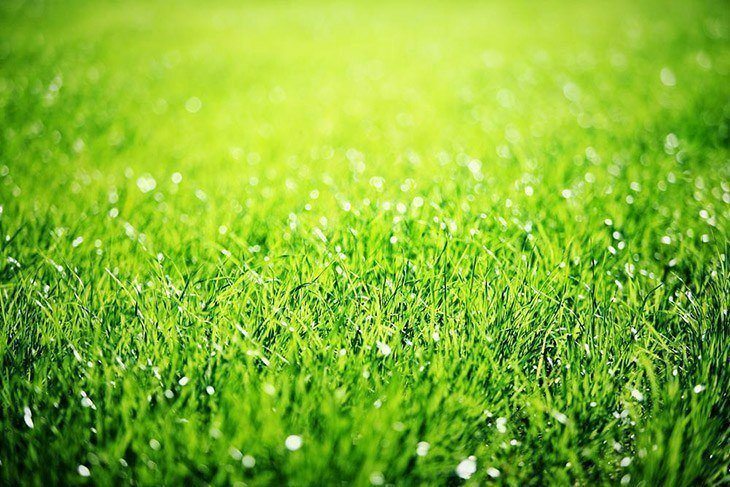 Bluegrass turf grass is ideal for cooler regions that receive frequent rain and long winters. It has a unique, blue tint that adds a decorative touch. You have to make sure that it is planted in an area with full sun. Centipede grass is a low-growing grass, so you don’t have to spend too much time on your lawn mower. Homeowners with high-acidic or poor quality soil love this type. It grows essentially anywhere. Fescue grass comes in a large range. They all do better with cold winters and handle drought better than other types. 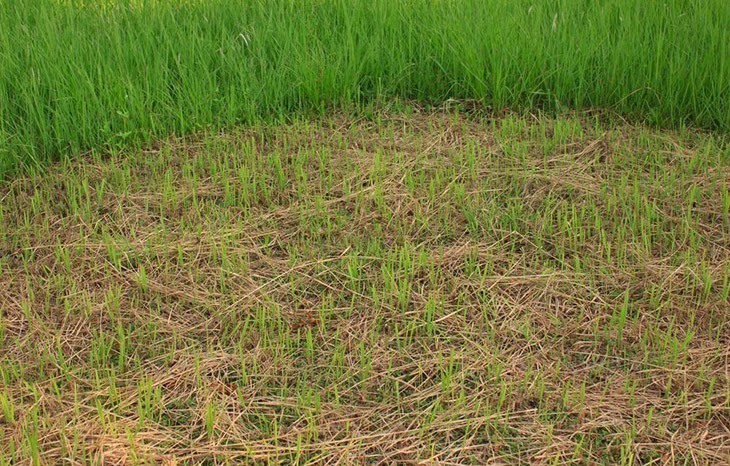 Perennial Rye grass isn’t a type of grass seed that people typically plant for their lawns. It comes with the benefit of germinating quicker than other types. If your largest consideration is how long for grass seed to germinate, perennial ryegrass would be an excellent selection. 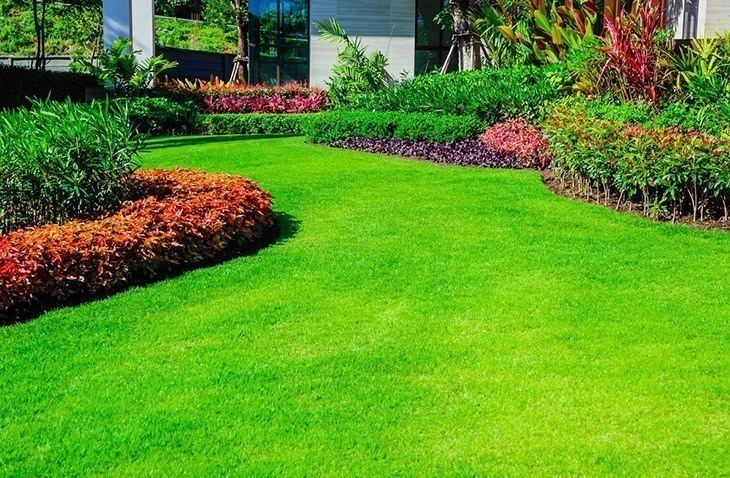 Zoysia grass will give you a thick, lush green grass, making you the envy of all of your neighbors. However, you need to live in an area with a warm climate and full sun. If your yard doesn’t receive sun all day, don’t make Zoysia grass your pick. Now you know the factors that lead to germination and the huge variety of germination rates. There are things that you can do to improve that rate, pushing it to the lower end of the range. 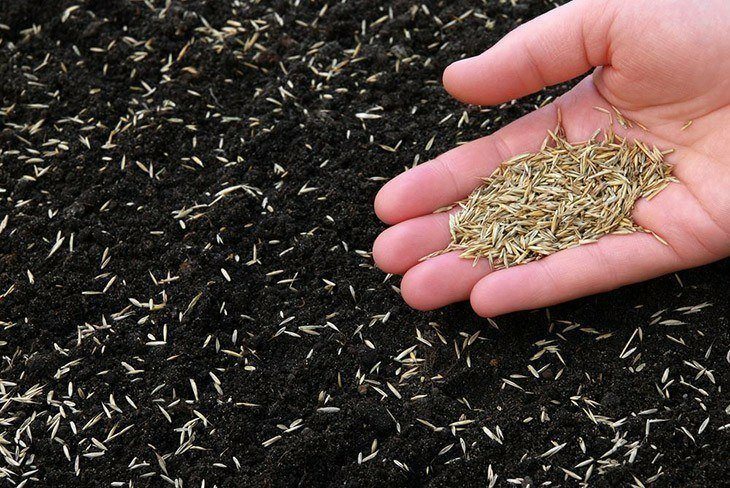 Rake the Seeds: You want the grass seeds to be in direct contact with the soil, so rake the seeds gently after sowing. This process mixes the dirt with the seeds. Mulch: Mulch helps to retain moisture in the ground. You can use seed covers or compost in fine layers, no more than ¼ inch deep. Pick the Right Time: If you want your grass seed to germinate quickly, pay close attention to the conditions and timing. You want the soil temperatures to match up correctly. Use a soil thermometer to pick the right time. Don’t Disrupt the Seeds: Besides birds, kids and pets can disrupt your grass seed. Try your best to keep them out of the area until the grass is established. Growing grass seed doesn’t have to be complicated. If you are wondering how long for grass seed to germinate, you first have to look at the type of grass you selected to grow. Then, plan to plant it during the ideal conditions. Remember to water frequently and create the ideal conditions. If you follow the recommended steps, your grass seed will grow at the rate described on the packaged you purchased!